Filipino fighter Jether Oliva is scheduled to face the former WBC world light flyweight champion Pedro Guevara of Mexico on February 20, 2016. Jether Oliva has a record of 23 wins including 11 victories coming by way of KO and has only 4 defeats. 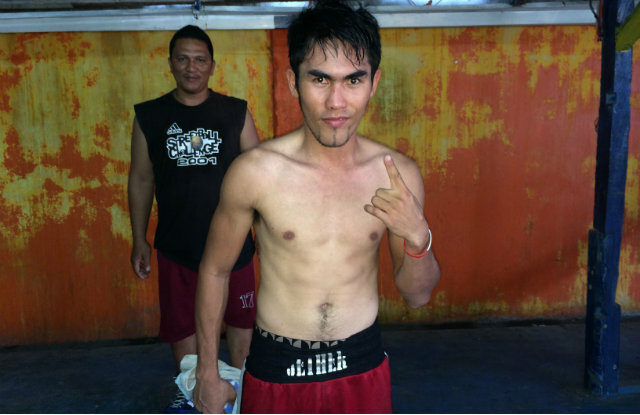 He is a 28 years old fighter from General Santos City, Cotabato del Sur, Philippines. Oliva is a former IBF World light flyweight challenger, he faced Ulises Solis but loses via Unanimous Decision. He tried again to capture another world title against Moruti Mthalane in 2014 but loses again via Split Decision. Oliva loses all his fights outside the Philippines. Regarding that Oliva still has a chance to comeback if he can beat Pedro Guevarra in the opponents hometown. Guevarra won his first world title against Akira Yaegashi in 2014 and successfully defended it 2 times against the Filipino fighter Richard Claveras and Mexican fighter Ganigan Lopez after Yu Kimura defeated him via closed fight Split Decision. Guevarra is currently ranked no 3 in the world and no. 1 in Mexico while the Filipino fighter ranked no. 64 in the world and no. 10 in the Philippines.